Prime Location! Close to Evergreen Line, West Coast Express, Rocky Point, Brewery Row, Shopping, Restaurants, etc... From the moment you walk into this beautiful 1 bed & den (could be 2nd bedroom) home you will be impressed with the cozy ambiance of this unique, open concept floorplan that is perfect for entertaining! Floor to ceiling windows creating an abundance of natural light over looking your private 300 sq. 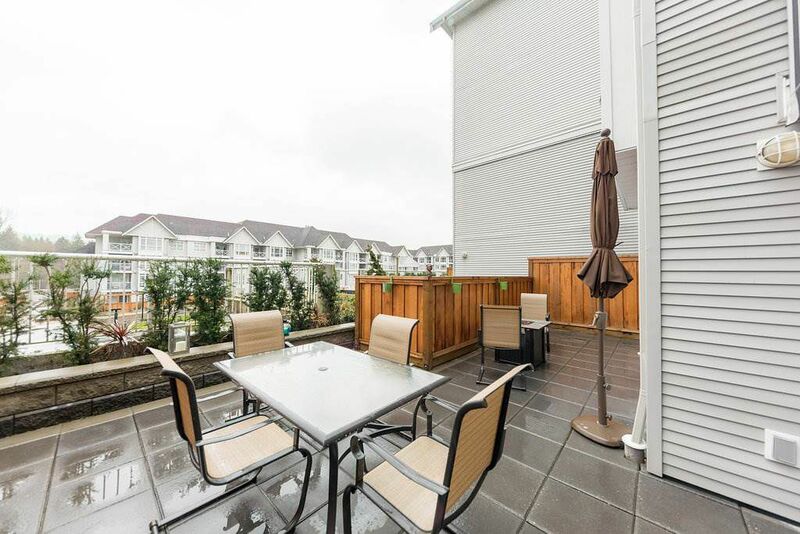 ft. fenced patio & the quiet courtyard complete with views and a separate entrance. Wrap around fireplace & large open kitchen with big bar counter. The large private master bedroom features an over sized walk in closet. Relax in the jetted soaker tub in the updated bathroom. Enjoy an active lifestyle with, indoor pool, exercise room and lots of great walks in the area. Act Fast!